Here we are, at the heart of the big CABRE family. 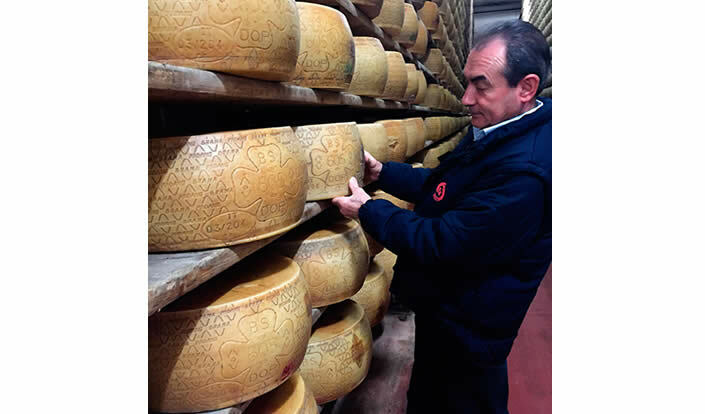 Today we are with Arturo Ginelli, the cheese factory’s manager, and Ugo Ferrari, its quality manager. 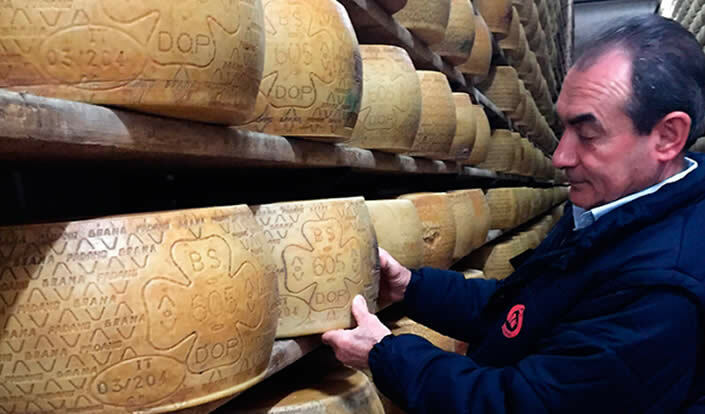 They take us straight to meet the head cheesemaker Fausto Bonvini. He tells us that the dairy has always been part of his life. He was born in a nearby dairy and now lives within the CABRE dairy. 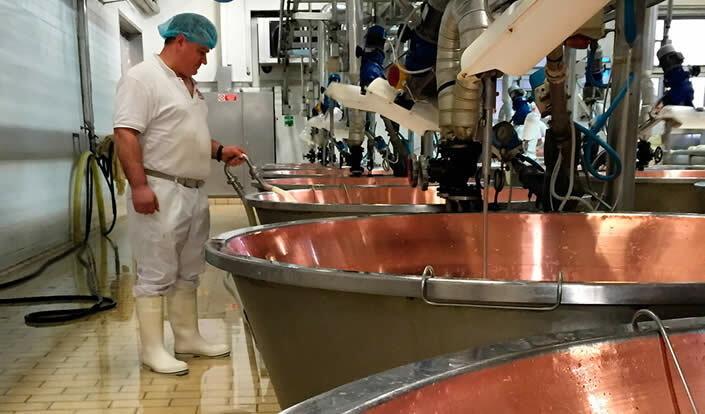 He has been working here since 1980 and carries out the cheese production activities with a team of young cheesemakers. It’s hard work, but the young men are happy, and they are always on time. Ugo Ferrari tells us that the cooperative has always been especially concerned to have proper work shifts to allow workers to have free afternoons and Sundays off. 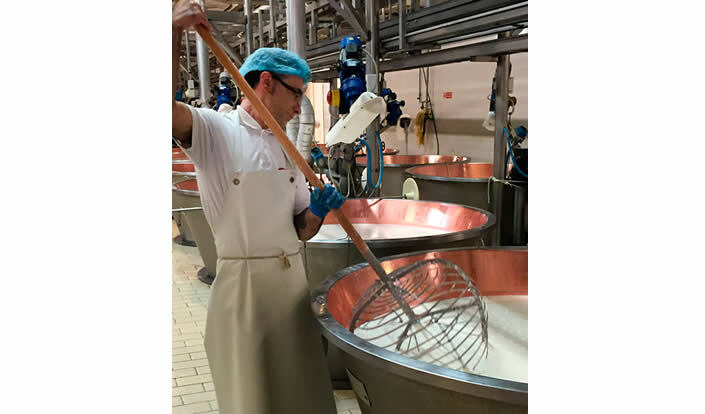 After taking a look at the cheese production process, we go back to the offices where we are joined by the current president, Mr. Cavagnini, whose dairy farm in Manerbio is one of the cheese factory’s milk suppliers. He tells us that back in the early 60s, the milk would be poured into iron churns when ready, and these were then collected by horse-drawn carts. “My family was the biggest supplier, and we produced 1 milk churn a day! Milk trucks were introduced in the 80s but the churns, weighing some 50 kilos, still had to be emptied out by hand. 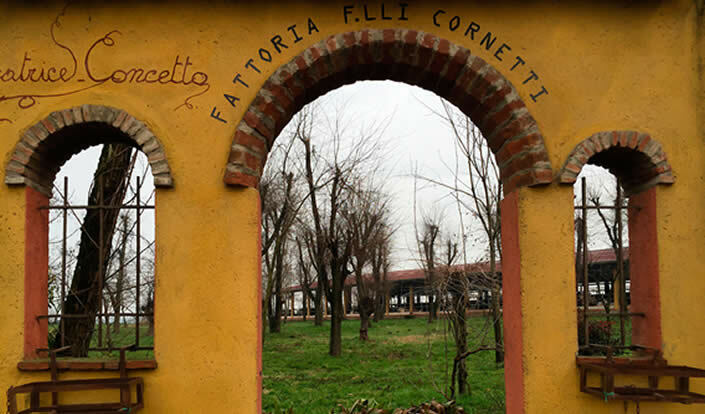 Arturo then takes us to see Giuseppe from Fattoria Cornetti, one of the dairy farms that supplies milk to CABRE. He rears Bianca Val Padana cattle, a breed that is almost extinct today. 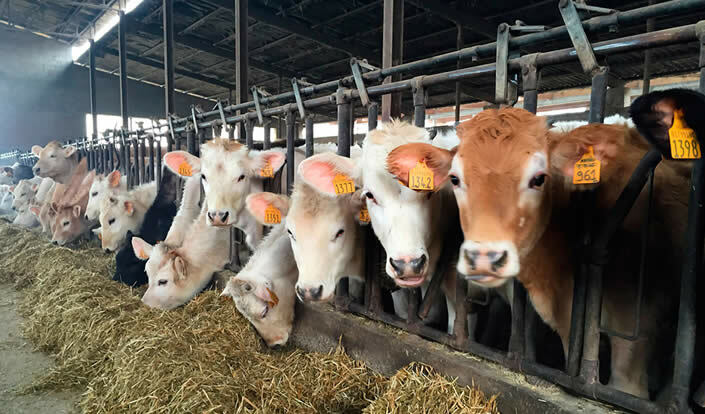 The breed was introduced in 2004 with 4 heads of cattle; today there are 250 pure-bred cows. He has given them imaginative names: from the names of politicians, “the more or less worthy ones”, to the names of cartoon characters, biblical figures, invented names, and pseudonyms of people in the village, like Toro, Arco, Kennedy, Adam, Allan, Paco, Pesto, and so on. Before coming to this dairy farm he and his family lived through some very hard times. His father had gone to work as a railway employee to meet the family’s financial needs. 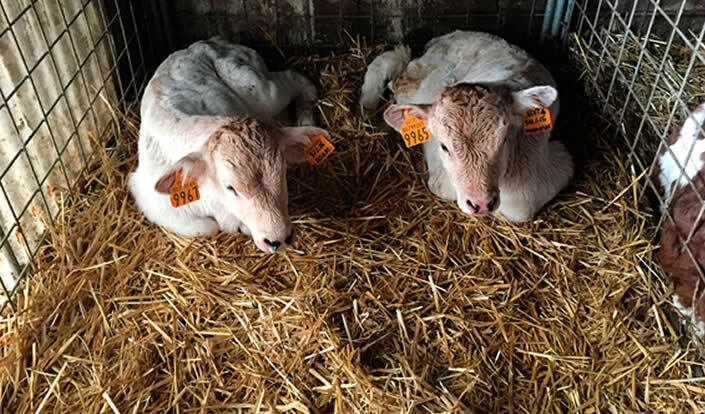 The countryside needed income from sources other than the farm, and when his brothers also took other jobs they were able to invest money in it and take the business forward, always focussing on quality and the welfare of their cattle.